Breathtaking Masterpiece of Design and Distinction boasts over 4, 800 sq. ft. of living space and the entire rear of home is all glass to enjoy the magnificent views of the Golf Course and the valley and mountains. Incredible Heart Pine Hardwood Floors throughout. Grand entrance foyer leads to magnificent Great Room w/Built-Ins and Built-In TV in Cabinet w/Riser and Stone Wood Burning Fireplace, Formal Dining Area and Custom Gourmet Kitchen w/Island w/All Appliances. Rear Deck from these areas is perfect for summer entertaining and to enjoy the lovely views. The entire area features vaulted ceilings and post and beams. Just off of the Kitchen is a Large Butlers Pantry, Laundry room w/Second Dishwasher, and Oversized 2 Car Garage that is heated and cooled. Also on the main level is the magnificent Master Suite w/Private Sitting Room that leads to Private Deck. Astonishing Master Bath boasts His and Hers Walk-In Closets, His and Hers Vanities, State of the Art Tile Shower and Bath w/Heated Floors. The main level also features a Den or Office w/Built-Ins or it could be the Second Bedroom for the main level., The lower level features a lovely Family room that leads to the rear stone patio and onto the golf course. There is an additional two Bedrooms w/Walk-In Closets and Full Baths, plus a Gym/Exercise Room or 4th Bedroom. The Basement offers space for a Workshop, plus an additional Storage Room or Work-out Room. There is a Radon Reduction System in place as well as a Security System. For Energy Savings the home also has a 6 KW Solar System. 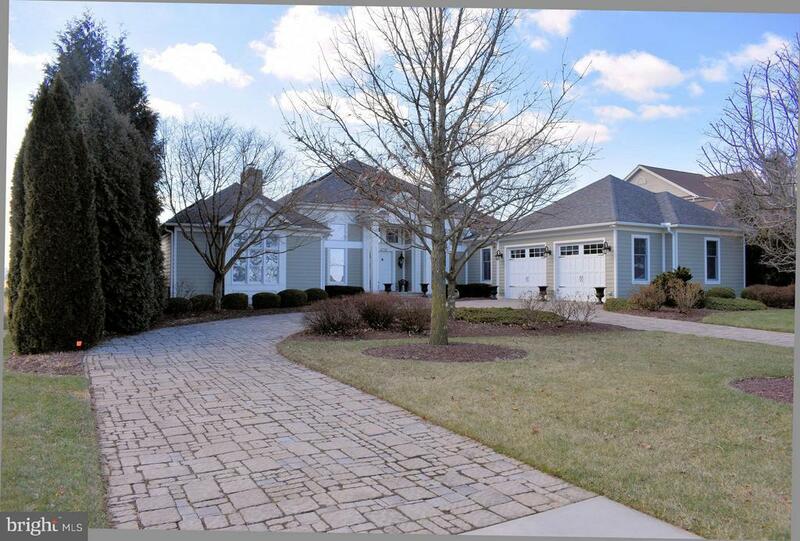 Located on the 4th Hole of the Iron Forge Course of Penn National Golf Course, TRULY THIS HOME IS A MUST SEE!! !